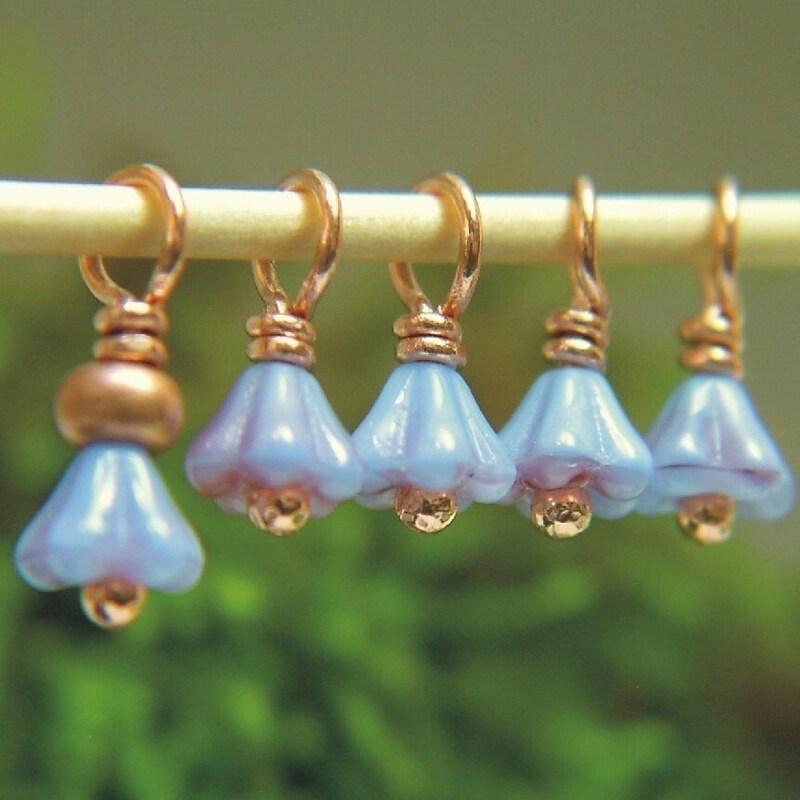 Please welcome TINY VIOLET to the SpindleCat Studio TINY stitch marker series! You are purchasing a set of (5) five handmade copper wire and lavender violet Czech glass bell flower bead markers. One marker contains a metallic copper glass bead. The smallest marker = just over 1/2 inch [12mm] long and 6mm wide. These stitch markers are individually hand formed, wrapped, tumbled and inspected here at SpindleCat Studio. Wire ends are carefully beveled and wrapped close to loop stem for a smooth, snag-free finish. These are perfect for my sock making!! Thanks! Tiny flowers remind me of something magical from my childhood - just right.